Birmingham City Council is in a deep economic crisis and is seeking to heap this onto the backs of workers whilst cutting services provided for public health, including those which keep our streets clean and free of disease. Birmingham City Council was once the single biggest local authority in Europe, but a workforce of 20,000 has been slashed in half and the plans which are being implemented by Labour Councillors seek to reduce this number to 7,000 by 2018. They blame it on the Tories but they ALL play the same game, its called capitalism, where the rich get richer and the poor get poorer. 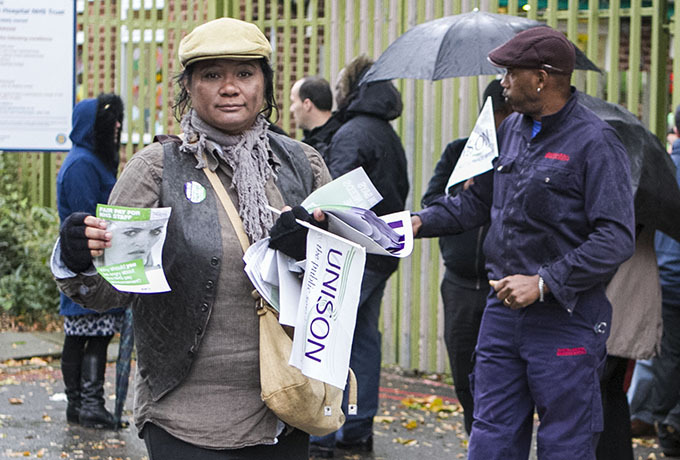 Refuse workers are vital to society; they do a job most people don’t want to do. Just because they work with rubbish they shouldn’t be treated like rubbish. In meetings held in March with Council refuse workers it was announced that Bin men are expected to take a £3,000 per annum pay cut and work an increase from four to five working days a week. Crews on wagons are to be reduced, as is the ratio of leading hands which risks putting the public at risk from fatal collisions on busy streets. This news has not gone down well with all the yards in Birmingham, and the more class conscious workers will be calling on workers to strike at the mass meeting in April. 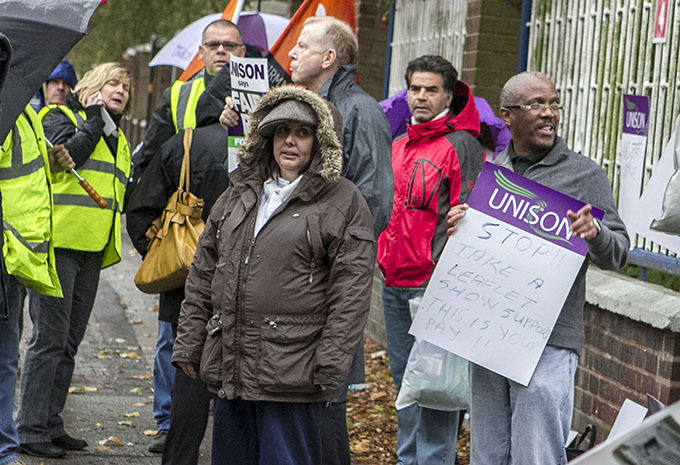 Bin men and others who turn out on strike will need to come out determined to win. The bin men must be urged to find creative ways to ensure lorries do not leave depots, that tyres are bereft of air, that wagons have ignitions but no keys, that entrances and exits are barricades and scabs run a gauntlet from the Agency office to the depot. The public can help! Any wagon that makes it out must be prevented from completing its work and pressure must be piled upon the Council from the rate payers, who can take their rubbish and heap it upon the steps of the Council House for Labour Party leader Clancy and his gang to clean up, better still take the rubbish to the neighbourhood offices of the local Labour Party. Too many people in this country are waiting for all the cuts to magically come to an end and a return to things as they were but capitalism is in systemic crisis no recovery is possible. Its class against class – fight for socialism! The following letter was sent by a Proletarian reader to the British Medical Association journal BMA News. “Readers of BMA News over the last couple of weeks cannot fail to have noticed the BMA’s conspicuous ‘No More Games’ campaign, designed – we are told – to appeal to the UK government to stop “playing games” with the NHS. 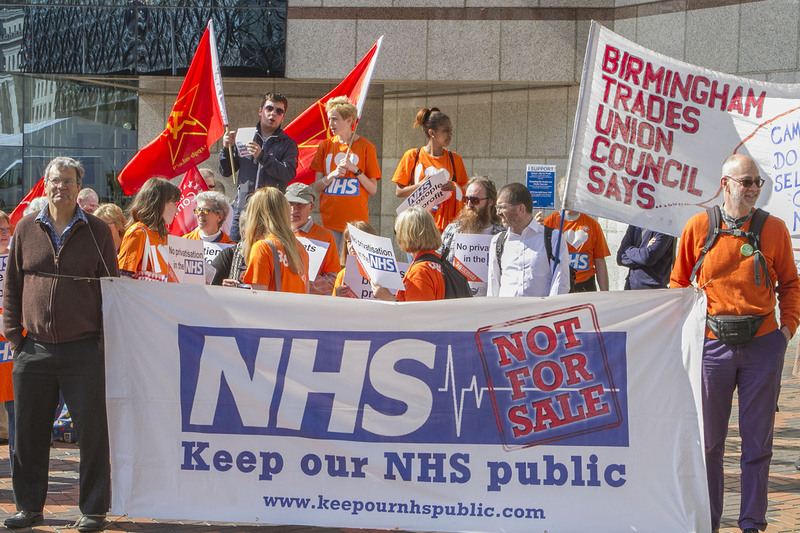 With all due respect to the leadership of our trade union, what UK governments – regardless of party political stripe – have done and continue to do to the NHS since 1979 is not a ‘game’, it is a pre-planned step-by-step programme to re-privatise healthcare in this country. The first step in 1983 was to take NHS executive power away from doctors and place it instead in the hands of new business managers. Step 2 in 1990 was to replace the old funding system of simple block budget allocation, with an artificial ‘internal market’ whereby ‘providers’ would henceforth compete for funding from ‘commissioners’. Step 3, from 1997, was the expansion of the Private Finance Initiative (PFI), whereby NHS Trusts were encouraged to ‘solve’ their funding problems by – in effect – paying for new (and often unnecessary) infrastructure projects on a credit card. Step 4 was the introduction of ‘Foundation Hospitals’ – in effect embryonic private hospitals – from 2002: since then the government has decreed that all NHS Trusts must ultimately become Foundation Trusts, or else be subsumed into existing Foundation Trusts. 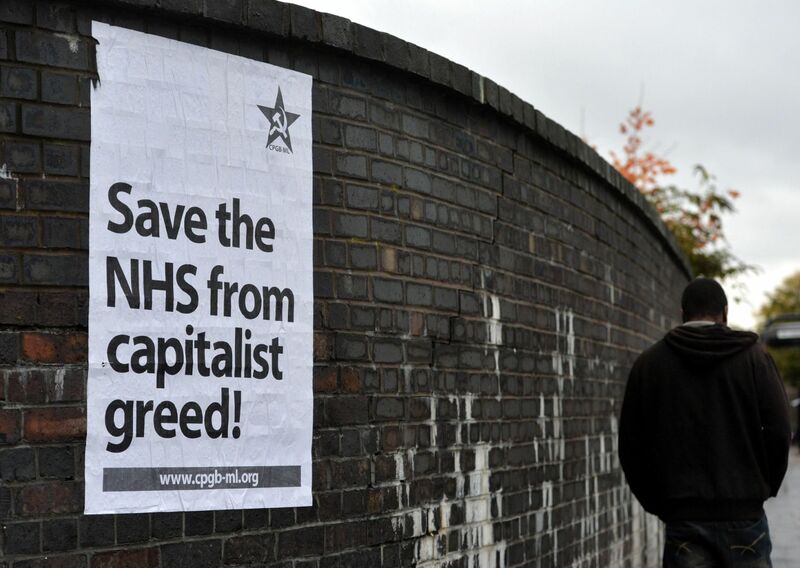 The final step was the Health and Social Care Act 2011, which in fact formally abolished the NHS as a universal free healthcare system: ‘NHS’ is now little more than the name for a pot of taxpayer money that will increasingly be directed to the government’s friends on the boards of private healthcare providers. 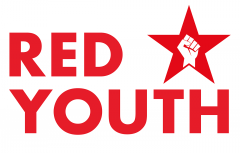 Red Youth was pleased to support a handful of the many hundreds of picket lines organised across the country today in defense of the NHS. Thousands of workers staged a 4 hour stoppage in protest against a provocative 1% pay rise (in effect a serious pay cut). In July 2010, barely two months after a general election campaign in which the Tories promised “no more top-down reorganisations of the NHS”, Health Secretary Andrew Lansley announced the new government’s plans for the biggest restructuring of the NHS since its foundation in 1948. Yet such bare-faced contempt for the British public profoundly misjudged the fact that these days, with disillusionment with mainstream politics at record levels, only the pathologically naïve would fail to see the Health and Social Care Bill 2011 for what it really is: the final outright privatisation of the NHS. There has been a huge upsurge of popular opposition to the proposals, with inspired campaign groups like 38 Degrees and Keep Our NHS Public spearheading the fight alongside NHS workers themselves. 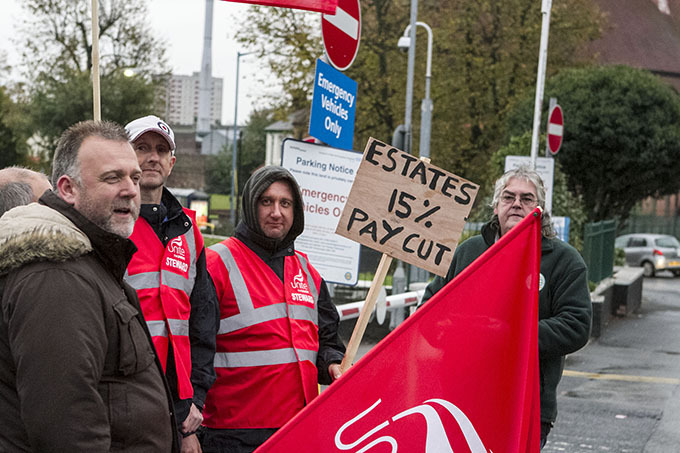 As usual the do-nothing tactics of the Labour party and TUC have been put thoroughly to shame by the dedication, courage, and ingenuity of these activists. Yet all too often even the likes of 38 Degrees leave themselves exposed by a superficial analysis that, for example, sees the HASC Bill as the personal project of Lansley himself – a problem that could perhaps be removed if only Lansley could be removed, if only the government could somehow be persuaded to ‘see sense’. Always in the background there lurks the dangerous illusion that every British worker should by now know to avoid like the plague: that if only a Labour government were in office, all would be well. Meanwhile, Lansley has given way to Jeremy Hunt, and the privatisation drive is intensifying rather than abating. The latest proposals, if they pass into law, will make it compulsory for GPs to open up all areas of health provision to private companies – something that Lansley stated emphatically last year would definitely not happen!